"There is a battle for the future of Israel and each and every one of you is a soldier in that fight," says Rabbi Boteach. 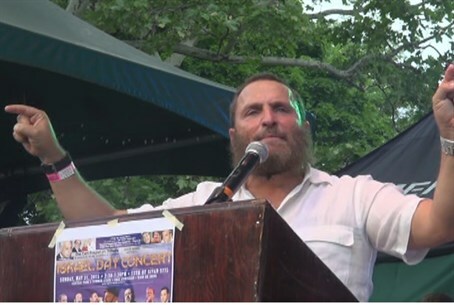 Rabbi Shmuley Boteach on Sunday spoke at the Israel Day Concert which took place in Central Park in New York. “We love Israel because Israel is good. We love Israel because it is the foremost protector of human rights in the world’s most troubled region,” he said to a loud round of applause. “There is a war going on. There is a battle for the future of the Jewish state and each and every one of you is a soldier in that fight,” said Rabbi Boteach.